Growing Up Christian: Onward, Forward, Upward in Christ! 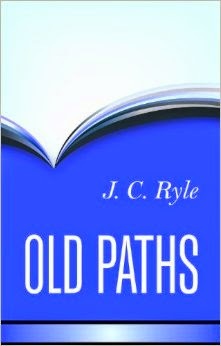 This phrase jumped out at me as I read Old Paths by J.C. Ryle. Ryle is one of my favorite authors, and his words consistently inspire me. Again, Ryle had me thinking. What is my motto, my aim, my focus? What is my pursuit in my faith and my Christian walk? Do I really want more? Do I long to move forward? Do I seek to reach upward? It reminds me of the end of C.S. Lewis’ book The Last Battle where the children kept cheering in excitement, “Further up and further in!” Joy, awe, and amazement bubbled up from within them, and they wanted more, and more, and more.